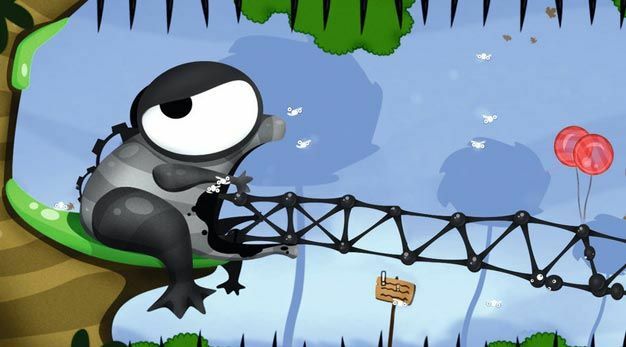 Since its release on the PC and WiiWare this past fall, the 2D Boy-developed puzzle game has become one of the more highly touted indie darlings of the last few years. The game just turned one year old, and the devs have just given themselves the gift of cash by announcing on their blog that World of Goo is coming to both the iPhone and iPod Touch, but no release window was given because, according to the developers, “It’s not done”. “We have it running well on the iphone 3GS, and with a little luck we hope to get it running smoothly on the 3G as well. Hopefully more news on this soon,” 2D Boy said, which is good news considering that newer iPhone games can run fairly poorly on older iPhones. I really enjoyed World of Goo when I played it on PC due to its originality and flat out bizarre look, but I’m skeptical as to if that small screen and your thumbs will be able to handle the precision needed to finish some of the later levels. I hope it does because the 2D Boy (which consists of two guys) deserve all of the recognition they can get.